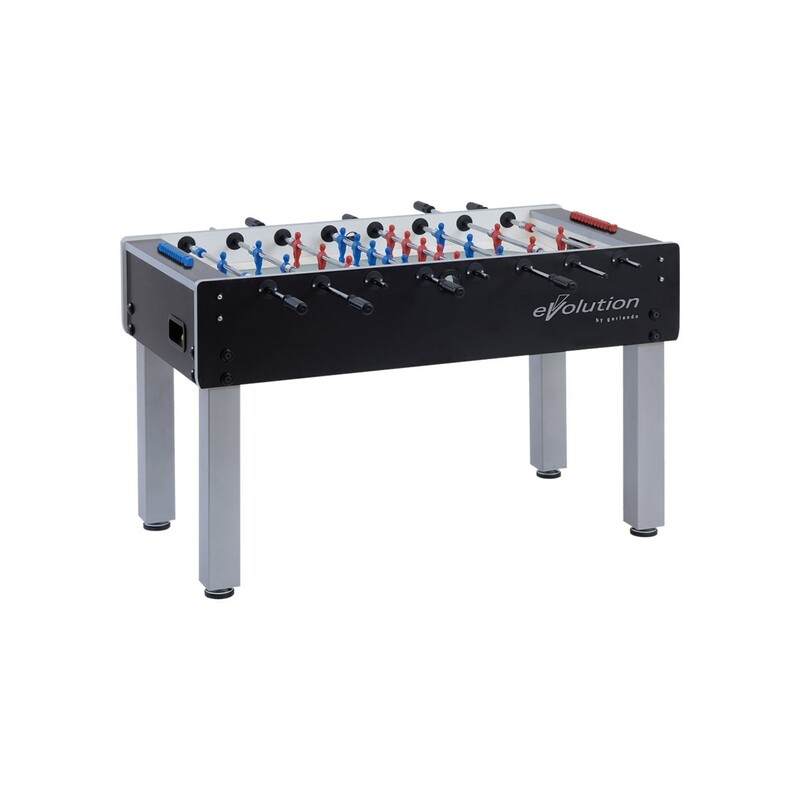 The Garlando G-500 Evolution Foosball Table boasts the black and silver look of the ITSF tables. The sturdy cabinet is constructed of 1-inch medium density fibreboard (MDF) with a melamine coating. The heavy duty legs are made from 4-inch square steel with durable, washable powder coated finish. Leg levelers enable a perfectly flat playing field on uneven floors. High stress resistance machine-trued hollow steel bars - diameter 16mm – are coated with anti-rust chromium-plating. The quality of the materials used adds to the thickness of 2.2mm to prevent the bars from bending, maintaining a perfect shape. Bars are fixed to the cabinet by means of nylon ball bearings. Steel roller bearings inside the bearings fixing bars to the cabinet greatly improve the game speed, while reducing the stress for the players' wrists. 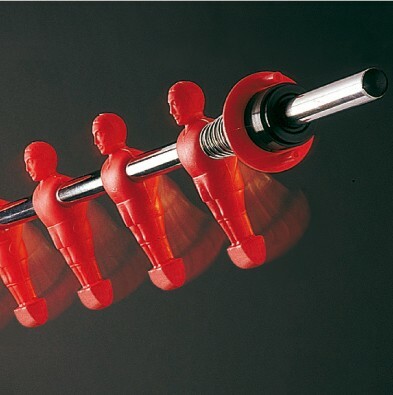 Solid color players in plastic material (moplen) representing a stylized human figure are directly molded onto the bars; they do not move, cannot be displaced and maintain their positions perfectly. Team colors: red and blue. Plastic handles with ergonomic grip. The playfield is plastic laminated with silk screened printed white lines on a green background. Balls are served through a filler on each side of the table. Quick and easy ball recovery through an exit behind each goal. Color coordinated abacus scorers. Ten (10) standard white balls included. Dimensions: 56" x 30" x 36"